Conference Series Ltd invites all the participants across the globe to attend 15th International Congress on Vision Science and Eye London, UK. 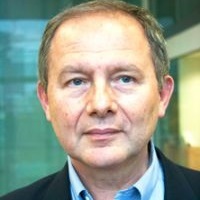 John Barbur is a Professor of Optics and Visual Science at Applied Vision Research Centre at City, University of London. He combines fundamental vision science with applied and clinical research, which underpins a long record of research achievement and wider impact. He works on camouflage for the royal signals and radar establishment led to insights into the processing of luminance and color signals that have important applications in color vision assessment. These and other studies led to the development of several Advanced Vision and Optometric Tests (AVOT), initially for research studies and later for more precise assessment of vision in visually-demanding environments such as aviation and rail transport. The CAD (Color Assessment and Diagnosis) is now used throughout the world to assess pilots, firefighters, seafarers, police officers and air traffic controllers. also affect visual function such as diabetes. The outcome of conventional tests of color vision will be reviewed and data that describe the variability observed within normal trichromats and in subjects with congenital deficiency will be presented. This improved understanding has significant effects on color assessment and the establishment of minimum color vision requirements within visually-demanding occupational environments. Studies that led to color vision changes as a result of normal ageing and the application of these to early detection of acquired loss of chromatic sensitivity will be discussed. Finally, results of extensive, clinical studies designed to detect the earliest changes in color vision in diabetes, glaucoma and AMD will also be presented.